While researching the Cavendish Cemetery and putting together the community ties and relationships of those buried there, I came across the stone of Bernard S. Armstrong. In researching Bernard, I discovered he was a casualty of WWI and thought it appropriate to write something about his life and the lives of the five men, with ties to Clearwater County, as we honor the memories of the fallen, this Memorial Day. Former Resident of Orofino Gets Gunshot Wound in the Leg. Mrs. Charles S. H. Rennison writes to the Tribune from her home in Calgary, Alberta, that her husband was wounded in the trenches in France on the 17th of August, but she had not been advised as to the seriousness of the wound. The Rennison family is well known in Orofino, where Mr. Rennison was manager of the Grangeville Electric Light and Power company. Mr. Rennison left here over a year ago, going to Canada for the purpose of enlisting, and went from Calgary last December. He was serving in the machine gun section of the 16th Canadian Scottish battalion at the time he was injured. Chas. S. H. Rennison Gave Up Life in Defense of His Country. When the news reaches us that a former resident of Orofino had succumbed from his wounds-wounds he had received while in battle-it brings the horrors of war nearer home, bringing us face to face with the realities of the bloody struggle going on in the old world, the like of which has never been recorded. Monday’s mail brought the following from Mrs. Chas. Rennison, which tells its own sad story from the broken-hearted wife. Dear Mr. Crow: I am sorry to tell you that my husband, Chas. S. H. Rennison, died of his wounds at a casualty clearing station in France September 19, after being wounded in the big Canadian drive on Lens, August 17. He died of blood poison, I infer from the way the telegram reads. It seems an awful ordeal for me to undergo. Mr. Rennison got a German gas helmet off of a wounded German August 17-the day he was wounded–and mailed it to Edward, our son, on the 24th of August we received it on September 21. September 3 he wrote to me but said nothing of being badly injured or ill, saying he had only a slight scratch on his leg and had been inoculated to prevent blood poison setting in. I received the letter today, but his spirit had flown. The Tribune published an item on September 7, giving an account of Mr. Rennison being wounded, but the information at hand did not indicate he was in a dangerous condition. Mr. Rennison will be remembered as having been the local manager of the Grangeville Electric Light & Power company for several months prior to the time he was succeeded by Mr. Smith over a year ago. Mr. Rennison enlisted in a Canadian company at Calgary last December and was serving with the 16th Canadian Scottish battalion at the time he received the wound that caused his death. He was between 35 and 40 years of age, and the widow and one young son and daughter are the immediate relatives who are so sorely afflicted. Mr. Rennison was a veteran of the Boer war, serving with a British regiment in that campaign. This community was shocked this week when the news came that Harold Kinne had been killed in action in France on the 19th of July. His parents are respected and prominent in this community, and this young man was the idol of their heart, being the only son. He is survived by a sister, Miss Helen, and is a nephew of B. H. Kinne of Orofino, and Blair E. Hoar of Lewiston, this state. In an hour like this words seem so empty when one tries to express the feeling of the heart. We who have stood beside the silent grave of a departed child know the depth of anguish and the terrible pain that this brings to the family of this boy. We can at most only tell them we are sorry for them, and by our sympathy make them know that we too are pained and grieved over what, in this case, is more than a family loss. And we know that there is some consolation to the family to know that their son’s life was not sacrificed in vain; that his life was not wasted. To some men fortune has given them the chance to live in a brief hour more than comes to most men in three score years and ten. And if Harold Kinne were our boy, and he was as dear to us as he is to his family, we’d rather a thousand times that he were sleeping in a hero’s grave tonight in France than that he lived and shrunk from his duty to his fellow-man. In all our life we have never heard from human lips world that rung truer than those expressed by the father when, with tears trickling down his cheeks, he said “Harold gave his life doing exactly what I wanted my son to do. He died doing his duty.” And through all the years to come this thought will be the richest heritage that any human being can bequeath to family or friends. Life at most is but a brief span from birth to death. And the days we live here make neither for success of failure, except as to what we crowd into the allotted time we live. A thousand men count tree score years or more and leave behind a blank. Their lives counted for naught in the struggle of the world. They lived seventy-five or one hundred years and died and the world never missed them. And another may live but a brief time, yet in that space leave behind a great book, a beautiful poem, a great invention, a sweet song, a painting that inspires, or a single act that benefits the whole world through all the coming years. 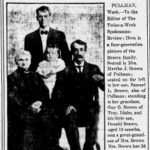 What matter it when John Howard Payne died? Into “home, Sweet Home: he breathed the finest sentiment that ever came from a mortal man, and tho the author be dead, he lives immortal in the hearts of all the human race, and tho he lived but a day, how many of us would not rather be the author of “Home, Sweet Home” than to fill an unknown grave at the age of 95? Harold Kinne’s life in the great Book of time and eternity, will count for much; his memory will ever thrill with pride the hearts of his family and friends. Wherever his name is mentioned it will be with a knowledge that he was every inch a hero, every fibre a man, and that he glorified life by his supreme sacrifice. And in the hour when the sorrow is almost more than the family can bear, there is consolation that their son, their boy, died doing his duty with a cheerful heart and a smile. All who knew Harold Kinne admired him. He was always cheerful, always full of life and ambition, and always clean in body and mind. In school he was a leader. In whatever he did he was upright, clean and manly. In sport he was fair, open and generous, and morally clean and sound. Harold was born February 28, 1896 at Shell Lake, Wisconsin. He moved with his parents twelve years ago to Clearwater county, Idaho. Graduated from the Shell Lake high school in 1914, and took up his studies in the University of Wisconsin in 1915, receiving a scholarship each year for his excellency in scholarship. In his second year he was chosen by his college to debate against the University of South Dakota, and the following year was sent to Los Angeles, Cal., to debate against the Law School of Southern California. It was during this trip war was declared and he hurried back to Wisconsin to take up war work. He left immediately for Fort Sheridan and received a commission as second lieutenant. He was one of five from each company to be given the privilege of going to France and there took three month’s special training in trench work. He was one of the firs 2,500 to take the front line trenches. He gave up his life in active duty July 19, 1918. Parents Advised How Their Son Died on the Field of Battle. Co. “K,” 16th Inft., A. E. F.
“Mr. W. B. Kinne, Orofino, Idaho. My Dear Mr. Kinne: I am very sorry for the occasion which requires me to write you this letter. I suppose by this time you have been notified of the death of your son, Harold, and I want to write you a line to tell you how nobly he died. It was on the afternoon of the 19th of July we were advancing against a heavy machine gun fire through a hail of shell and shrapnel; we were check by the machine gun fire and the Huns made a counter attack. Some troops from the regiment on our left started to fall back and that fatal movement was spreading to our company. Lieutenant Kinne jumped up to my assistance and succeeded in starting the line forward again. It was just at this point that he was struck by a machine gun bullet which pierced his brain, killing him instantly. As night came on and the fight quieted I sent a detail back to get his body and carry it to the rear where it was buried. I want to say that Lieutenant Kinne was one of the finest and most efficient officers in the regiment, always energetic and capable. It is a crying shame that men like him have not received a promotion over here, but as no one has, it is not to his discredit that he was only a lieutenant. It is rather much to his credit that he kept up his high standard of effort in spite of the apparent lack of recognition. I want to assure you that you have every reason to be proud of him for his life and for his death, and we suffer with you from his loss. Captain “K” Co, 16th Inft. General Pershing Goes to the Front with Uncle Sam’s Boys. Word reached Orofino today that the American troops had gone into the trenches on the eastern front, under General Pershing. 99–Samuel C. Harp, Teakean, 155. 162–Archie T. Rowland, Gilbert, 29. 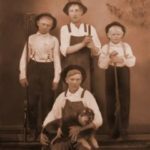 The Bellomy boys have been at their old home in West Virginia for some time and have been ordered to Camp Lee, in their own state; Harp and Rowland will leave Tuesday next for Camp Lewis at American Lake. They will fill the vacancies occasioned by Earl Blake, Leander Martin and John M. Povich being excused, the fourth man, an Italian from Elk River, failing to show up when the last contingent was sent to American Lake. A call for another man will no doubt soon be made to take Glenn Dieterls’s place, as he has been returned home. The Orofino boys who enlisted before the draft call became effective were expected to reach Camp Mills, Long Island, today, and will probably embark for the war zone by the new year. The casualty list carried the name of Alton Bellomy on day last week, but no further information has been received over this sad news. 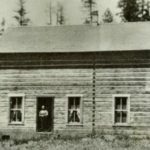 The young man was well known in Orofino, as the family were residents of this place for several years. Alton enlisted with a Kentucky regiment. Two More of Clearwater County Boys Make the Supreme Sacrifice. Troy News: Robt. Bellomy received word from relatives in Kentucky that his two nephews, Alton and Alvin Bellomy, sons of C. O. Bellomy, who formerly resided here and later in Orofino, had been killed in action in France. The boys were quite well known in Troy where they had spent several months of their lives. A cousin Henry Bellomy, who enlisted from Kentucky, was also killed in action. Mr. Bellomy received the word from his daughter, Mrs. Henry Johnson, of Ashland, Ky., who stated that she and her two children are down with the Spanish influenza, and that her husband is taking it. Further research into the fate of the Bellomy brothers, proves the above account is not completely accurate. Alton was in fact killed in action (KIA) on July 26, 1918. However, both of his brothers Alvin and Robert Oscar, survived the war and lived out the remainder of their lives in Ceredo, Wayne County, West Virginia. Killed in action–Private William H. Kuckku, Emmett. Wounded severely–Private Charles A. Bobbitt, Orofino. Another Clearwater County Boy Was Reported Wounded, But Is Missing. Mr. and Mrs. A. J. Bobbitt were advised several weeks ago that their son had been severely wounded early last October, but up date all efforts to locate the young man have failed of their purpose. Clerk Kauffman sought for information through the war department to find the whereabouts of the young soldier, but all he learned that Private Bobbitt had been severely wounded, as stated in the foregoing sentence. Senator Nugent was appealed to, but he was unable to get any information in Washington, and he then cabled General Pershing, whose reply was in effect that young Bobbitt was wounded and was in Co. G, 28th Infantry, but did not give information that would lead to the whereabouts of the Clearwater county boy. Senator Nugent then applied to the Red Cross and other organizations and had a notice inserted in one of the papers published in the interest of the soldier boys, but nothing has as yet developed to locate the missing boy. Charley Bobbitt was one of the well-known young men of the Gilbert section and was held in high esteem by everyone, and should he have made the great sacrifice the sympathy of everyone will go out to the parents and relatives of this boy in their bereavement. C. A. BOBBITT DIES IN FRANCE. Parents Advised by War Department of Death of Son. In the news items from Gilbert will be noted the statement that Mr. and Mrs. A. J. Bobbitt have been notified that their son Charley, died in France from his wounds, but it does not appear the bereaved parents have received any particulars from the war department. 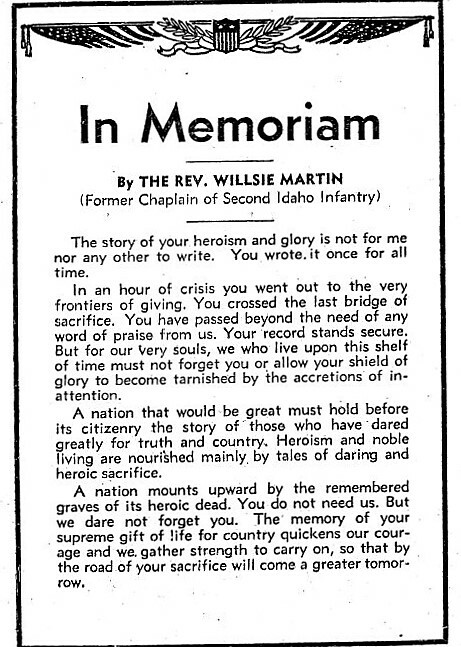 It is with profound sorrow the Tribune chronicles this sad news, as Charley Bobbitt was one of the best young men of the Gilbert country, and the sacrifice he has made with thousands of other American boys will live in the hearts of men and mothers long after ordinary persons have been effaced from the memory of man. May a righteous God assuage the sorrows that the death of this soldier boy has caused his devoted parents and loving sisters and brother. The war casualty list last Saturday reported Glenn Dieterle, son of Mr. and Mrs. Fred Dieterle of Gilbert as missing, and since that time the family has been very much worried and unable to get any later reports as to the young soldier’s fate. Name of Glenn R. Dieterle Placed on Clearwater County Honor Roll. Three monty and three days from the time he bade goodbye to relatives and friends, Glenn Dieterle lay dead upon the battlefield of France, having made the supreme sacrifice in defense of home and native land and for the principles of liberty and justice. Such is the brief story of another Clearwater county boy, one of the honest, energetic and industrious young farmers of the Gilbert country. Glenn R. Dieterle was the oldest son of Mr. and Mrs. Fred Dieterle, the young man being 26 years of age. The family has resided in Idaho for nearly 20 years and the boy who now sleeps on foreign soil was widely known in this community, and was highly respected and loved by nearly everyone who knew him. He owned a quarter section of land and was a joint owner with a younger brother in other farm land in the Gilbert section. Glenn was inducted into service sometime last winter but rejected at that time, June 28, he was sent forward again and was soon sent to France, as shown by the fact that scarcely three months elapsed from the time he left home until he was taken in one of the great offensive movement of the American army, whose achievements the annals of time will never efface. Mr. Dieterle was advised on the 15th of November that his son was missing on the 11th, but Wednesday of this week he got a telegram from the war department stating that Glenn had been killed in action November 1, which was the only information given. When Glenn received his call number, “13,” he told his folks it was a bad omen, and before leaving for the training camp he suggested that he deed his property to his brother, as he believed he would never return home alive. The sympathy of hundreds of friends goes out to Mr. and Mrs. Dieterle and the sisters and brothers in the loss of this good boy, but he died that a great principle might live, and the sacrifice made is perhaps in accordance with the plan of the Creator of mankind. Glenn Dieterle Killed in Action. The Republican mentioned a few weeks ago that word had been received to the effect that Glenn Dieterle was reported missing. Last week his parents received word that he was killed in the great offensive in France on the 1st day of November. He was the son of Mr. and Mrs. Fred Dieterle of Gilbert, who have the sympathy of a large circle of friends who will cherish in loving memory the young man who gave his life for his country. He was 26 years of age and a prosperous, energetic farmer. It would be over a year until Glenn’s family would know about the circumstances of Glenn’s death, or be told about his final resting place. This information appears to have surfaced because of his father Fred’s determination and tireless search for answers about his son’s death. Mr. and Mrs. Fred Dieterle have lately received further word as to how their son, Glenn, paid the supreme sacrifice on the battlefields of France, the information coming through the Red Cross. The sad message was in effect that Glenn was sent with the boys termed the “sacrifice squad,” on the 27th of September, and while in action was killed with many of his comrades. Fighting was so intense at that point at that time it was 2d of October before the dead could be buried. The minister who assisted in paying the last respects to the fallen American boys is named Lockhart, and the Dieterle’s hope to get further particulars of how their son met his fate by learning the address of the reverend gentleman. THE RESTING PLACE OF GLENN DIETERLE. Through an army chaplain, Mr. and Mrs. Fred Dieterle have finally located the resting place of their son, Glenn, who was one of the several thousands of Americans to give up his life in the great world war. The following letter tells the sad story of how he died and where his remains are resting. Mr. Dieterle has received Glenn’s pocketbook and a few memorandums but the money referred to by the chaplain has not been received by the parents of the dead boy who sleep on French soil. The chaplain turned the money over to the proper authorities. Fort Smith, Ark., Jan. 24, 1920. Mr. Fred Dieterle, Gilbert, Idaho. Your letter of January 16th has just reached me, having been forwarded from Batesville. I will be glad to tell you all I can about the death of your son and his subsequent burial by me. I was engaged in burial work in the front lines from the opening of the Argonne drive on September 27, 1918, until the granting of the armistice, but was not connected with your son’s organization, so of course never knew him in life. On the morning of Oct. 2nd, I had two squads of men out in the woods near a place called Abri St. Louis. If you will recall the accounts of this great battle you will doubtless remember that it was here some of our men captured something like 100 Germans who had take refuge in this protection about the second day of the drive. A number of our men lost their lives at this point, several machine guns being strongly placed here and removed with difficulty. Going on a little north from this point we came to the reverse slope of a high rocky hill covered with small bushes, a road passing along the foot. Cut back into the hill and facing this road were the numerous dug-outs, storehouses, baths, etc., of the Germans which had been in use for perhaps four years. Just above this road in the woods we found the bodies of six American lads who had been killed by high explosive shell fire, doubtless from beyond the next hill facing them. Among these six was that of your son, Glenn R. Dieterle. There is not the slightest doubt in my mind but that he was instantly killed, and perhaps never knew what struck him. Since the other five men near him, and in fact all the men in these woods were men from the 308th infantry, I presumed that your son was also one of them. The only thing by which he could be identified was a leather pocketbook in his hip pocket which had his name and address plainly written on it. the pocketbook, together with its contents, which was quite a bit of American and French money, perhaps $200 in all, was sent by me to the proper parties and has I hope been returned to you. Many parents have not received the personal effects of their sons, however, as that work was more tremendous than one could imagine who had not been associated with it. The six bodies were brought together to a spot just above the road on the hillside, and there, after commending the bodies to the ground and the souls to the care of God, I erected six rough crosses at their heads, and left them all on the scene of this greatest of gifts for God and country. From the fact that your son was found in the very forefront of the battle line, killed in the performance of his duty, would tell us just what kind of a soldier he was, even though I never knew him personally. If he was a member of a liaison group his duties would doubtless be to keep the two extremes of the company in touch with each other, or rather of the two companies. Over rough terrain through underbrush you can easily imagine what a difficult job it would be to have the long line advancing simultaneously when perhaps one company would meet with more opposition than another. It is a most important work, and of course extremely hazardous. I regret my inability to tell you anything of the personal life of your son, Mr. Dieterle, as I was only in touch with the burial. The spot where he is buried is so vivid in my mind that I could go right to it, I am sure this morning. These six men found so close together made quite an impression on me, and therefore I am able to remember the details of it among the many funerals conducted by me on the field of battle. I hope the Red Cross will be able to locate this grave and send you the photo promised. I can only express to you, my dear sir, my heartfelt sympathy in the loss, of your boy, and pray God’s richest blessing upon you and your wife, and the comfort which He alone can bring. It IS something to be proud of, to know that he was able to make this offering of himself for the peace and safety of the world. The term ‘sacrifice squad’ appears to refer to the soldiers chosen to advance ahead of their unit and patrol the area, to find where the enemy was entrenched. It appears these young soldiers were usually sent on their mission unarmed and therefore ill equipped to defend themselves, in the event they met hostile forces. 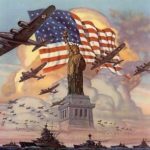 I was not able to find very much information on the topic of ‘sacrifice squads,’ perhaps someone better versed in WWI history can better explain this type of mission? 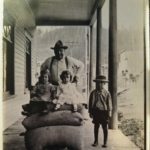 Bernard S. Armstrong, the inspiration for this post, was born in Whitman County, Washington and as a young man moved, with his family to Lapwai, in Nez Perce County. The family also lived in Cavendish and Bernard’s brother Ervin married Lizzie I. LeBaron. 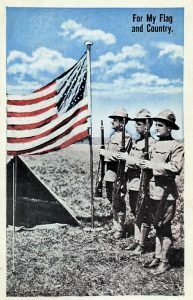 Parents Mr. and Mrs. Jay N. Armstrong of Lapwai, Receive Sad Intelligence–Have Two Other Sons Serving the Colors. Lapwai, Dec. 18.–(Special to the Tribune. 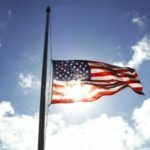 )– Mr. and Mrs. J. N. Armstrong received a message last night from the war department announcing that their son, Bernard Armstrong, was killed in France on November 6. Mr. Armstrong was a member of Company A, 60th infantry and the 5th Division. He went to Camp Lewis with one of the Nez Perce county contingents, but was left in the hospital when the 91st regiment sailed for France. He reached France very early in August and was sent into action almost immediately. Mr. Armstrong was about 25 years of age and first came to the Lapwai section with his parents about 20 years ago. The family later removed to the Cavendish section where they resided for 11 years but returned to the Lapwai country about three years ago. He was a young man of fine character and enjoyed the high regard of a wide circle of friends. Mr. and Mrs. Armstrong contributed three sons to the army, James Armstrong now being with the American forces in Siberia and Ervin Armstrong is at Camp Dodge. James Armstrong enlisted at San Francisco and was sent to the Philippine Islands for training and was with the first American forces sent to Siberia. Ervin Armstrong registered in Montana and was sent with a Montana contingent to Camp Dodge. Be it resolved, that Cavendish Lodge No. 127, I. O. O. F. extends a vote of sympathy to J. N. Armstrong and family of our deceased Brother, B. S. Armstrong, who on November 6th, 1918, was killed while fighting for his country on the battle field of France. Be it further resolved, that in the departure from our midst we have lost a friend and brother whose lif3 was a demonstration of the teachings of the principles of Odd Fellowship. And, the family, a son and brother who was loved and respected by all who knew him. Be it further resolved, that we send a copy of these resolutions to each member of the family, have one copy printed in the Kendrick Gazette and one copy spread on the minutes of the Lodge. C. M. Blackburn, N. G.
After the I. O. O. F. proclaimed the above resolution a cenotaph was erected, at the Cavendish Cemetery, in honor of Bernard.